They say we eat with our eyes first. So, if you don’t want to eat your computer, you might not want to continue looking at this post. With Valentine’s day fast approaching, I decided to get into the spirit with some tasty baked goods. 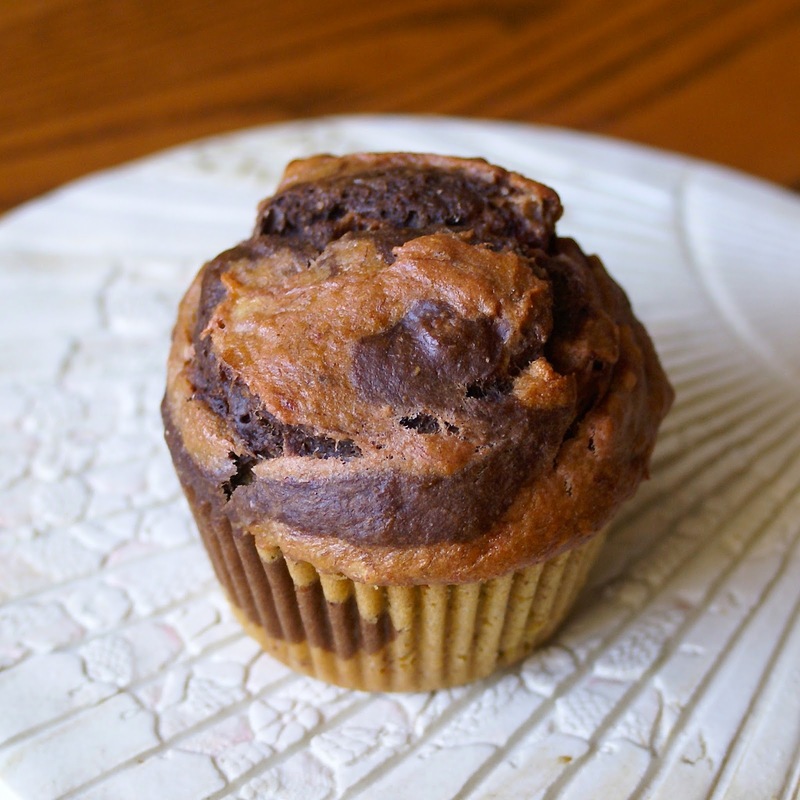 I wanted to make something special that could be enjoyed for breakfast or a snack without going into sugar coma (there are plenty of sugar-laden chocolaty desserts and decadent meals out there already!). With that in mind, I set out to make a healthy pink muffin with some sort of chocolate involved. And these muffins were born, turning out perfect the first time. 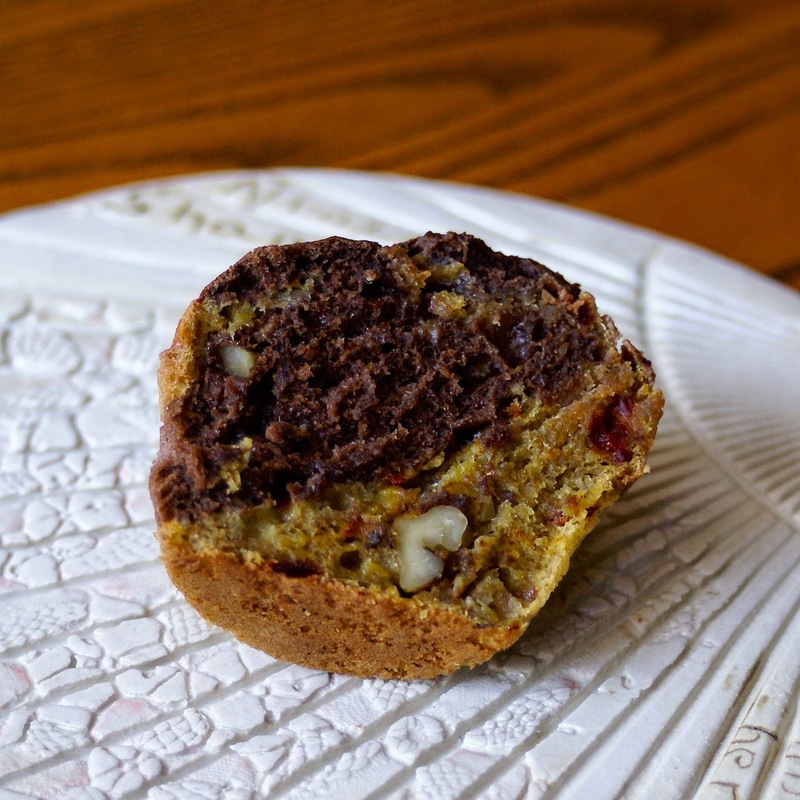 Swirls of chocolate wrap around a naturally pink banana bread, studded with toasted walnuts and accented by orange zest. Oh, I forgot to mention the heart-healthy olive oil giving these muffins a unbelievable richness. And the hidden beets giving them a festive pink hue. Here is a perfect Valentine’s day breakfast for your loved ones (and yourself). 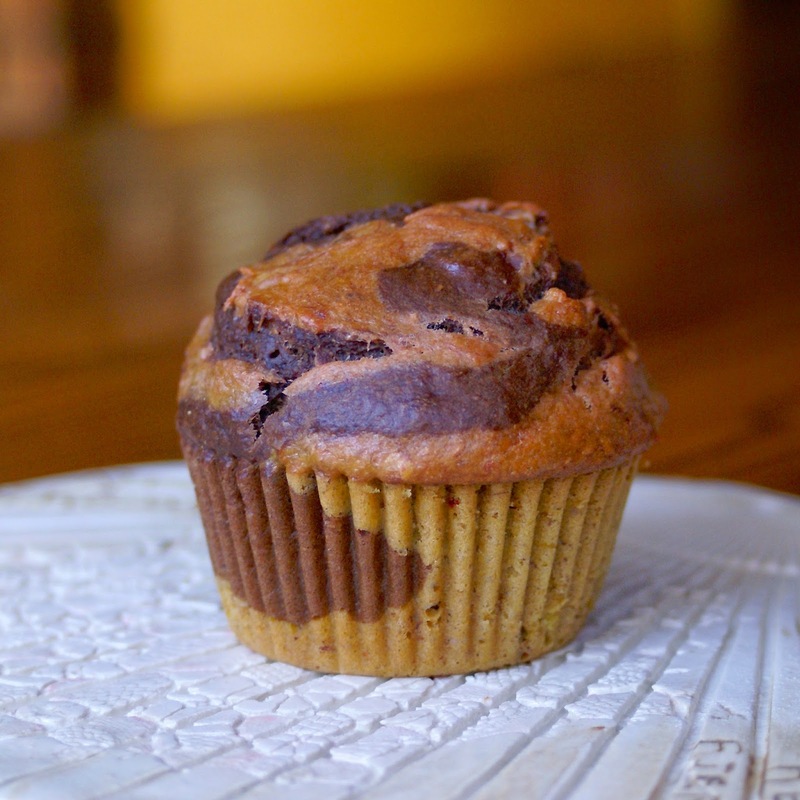 Start the day with a chocolaty treat…that’s actually a nutritionally powerhouse of a breakfast in disguise! 1. Preheat the oven to 350 F. Line a muffin pan with 12 liners. 2. Line a small baking sheet with tin foil, spread the walnuts on the pan and roast in the preheated 350 F oven for about 8 minutes, or until golden brown and fragrant. 3. Whisk the dry ingredients in a bowl. Set aside. 4. Add all the wet ingredients to a bowl and mix using a hand-held beater (or kitchen aid) until smooth. 5. Slowly add the dry ingredients to the wet ones. Fold in the toasted walnuts. 6. Put half of the mixed batter to the bowl the dry ingredients were in. Add the grated beet to one bowl, and the cocoa powder to the other. 7. Mix each bowl separately until well blended with the hand held mixer, rinsing it between bowls. 8. Spoon the two batters into the muffin tins in stages, until all the batter is used. I used a small cookie scoop (tablespoon sizes), and added one scoop of one batter before rinsing the scoop and repeating with the other batter and so on until all the batter is gone. Then I used a chopstick to swirl the two batters together. You can also simply fill the tins half up with one, then add the other on top. Get creative! 9. Bake for 25-30 minutes, or until a toothpick inserted into the center comes out clean.